They include government officials, as well as high-profile politicians and businessmen who are part of some 200-member delegation selected for the visit. 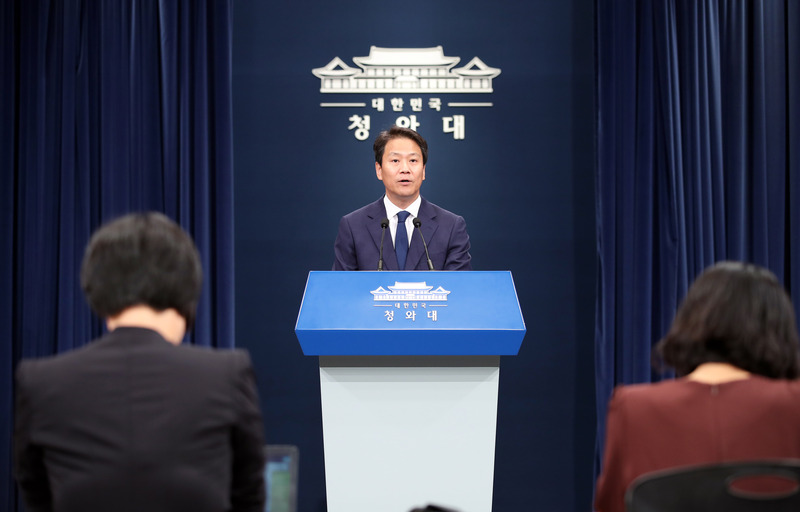 Presidential Chief of Staff Im Jong-seok revealed the list of Moon's entourage. He said the 14-member official delegation consists of ministers, senior government officials and presidential staff, including National Security Adviser Chung Eui-yong and National Intelligence Service chief Suh Hoon. Also joining Moon is a special delegation composed of 52 officials from various fields. They include Samsung Group Vice Chairman Lee Jae-yong and the heads of the SK and LG groups. Meanwhile, from the political circle, Democratic Party chairman Lee Hae-chan, heads of minor parties and Seoul Mayor Park Won-soon representing local governments are set to take part. Professor Yoo Hong-joon, former national football coach Cha Bum-geun and table tennis legend Hyun Jung-hwa are also included in the list representing the culture, arts and sports sector. If reporters and TV crew are counted, the number of the entire delegation totals around 200. Moon is set to fly to Pyongyang on Tuesday for what would be his third meeting with North Korean leader Kim Jong-un.